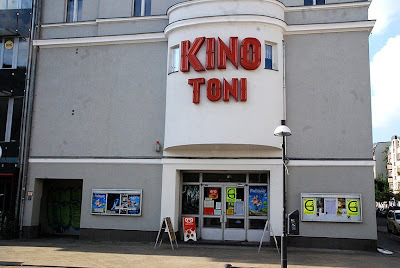 Kino Toni: home cinema to the Globians world and culture documentary festival in Berlin. The Theater has been completely renovated, having been in operation during the cold war. It is now owned by the German film director, Michael Verhoeven : The Nasty Girl, The Unknown Soldier, O.K., Mother's Courage and The White Rose (academy award nominee for best foreign film). 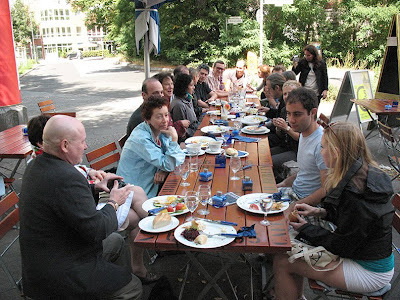 Filmmakers lunch during the festival...all 'Global' indie documentary filmmakers from Brazil, USA, Canada, Spain and Germany...Thanks to our festival host, Joachim Polzer we made new friends and talked shop throughout the fest. 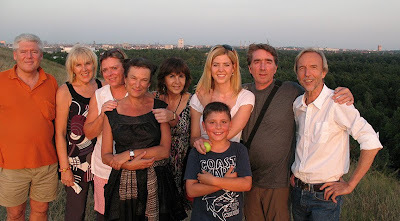 30 years ago I lived in 'West' Berlin (before the wall was torn down). 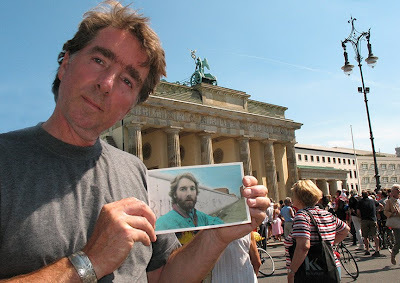 The hand-colored photograph I'm holding was taken in 1979 not far from this same spot (near The Brandenburg Gate). What a dream to return to a reunited, thriving Berlin with a film. Flower power comes full circle indeed. 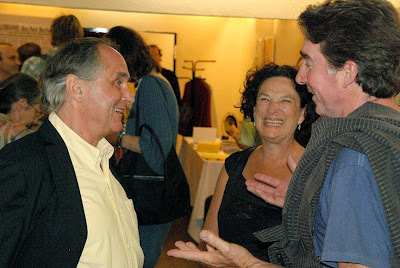 Some kind of serendipity too...We showed our film on the 40th anniversary of Woodstock (almost to the day!) and this year (2009) marks the 20th anniversary of the Wall coming down. 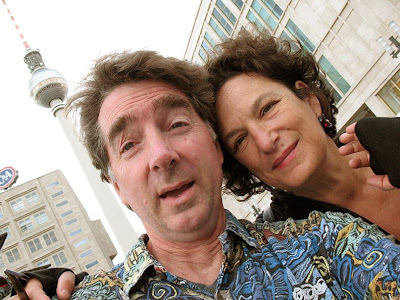 Was our return to Berlin meant to be?